I have been getting bombarded with questions from doctors across the country regarding spinal decompression tables and fee structures, if one more doctor call's me I am going to start charging consulting fee's. The first questions is "What is the best spinal decompression table?" Well the fact is the FDA approved over twelve tables to called spinal decompression and they do not differeniate the method from traction. Many table manufactures now claim that their table is endorsed by NASA and founded on NASA science, nothing can be farther from the truth. Many of this manufactures are now being investigated for false advertsing and some manufactures currently have the feds looking at them. I am not saying that Decompression doesnt work, I am saying that this incredible technique has allot of fluff surounding it and many doctors fall for the elaborate marketing scheme and the promise of making tons of money, just look at any Alltandona ads! We did not become Doctors to get rich, we became doctors to help the suffering. Spinal decompression is an excellent treatment for herniated and bulging discs and has been shown to reduce nerve pressure and help to heal the disc. All of the tables do this, Just Because the DRX says they are the only ones doing this along with the Vax-D just ask the FDA they will be the ones I trust not a table manufacturer. I have been practicing spinal decompression techniques in Manhattan and I have seen many patients respond quickly and many patients satisfied with the treatment. Well these tables are all expensive some in upwards of 125 k so case fees should be in the $3,500 and up range. Why doesn't insurance cover the treatment? Insurance companies do not pay for S9090 which is listed as vertebral axial decompression. It is still considered investigational and experimental. They rather pay 50 Grand for a back surgery, go figure? So in conclusion to answer your questions is the DRX 9000 a good table? yes it is I like the table and get good clinical results with it , but it is not the only table that does decompression and as a doctor or a patient looking at spinal decompression as a treatment choice do not get hung up on tables, I recommend chosing a doctor that offers a comprehensive treatment that includes back and core strength into the program, this is very important. 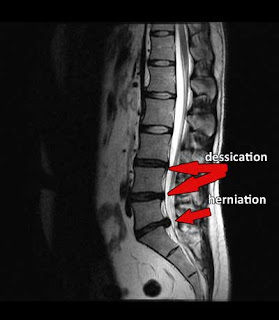 Spinal decompression works and it can help patients suffering with Disc related issues. There are over 12 tables on the market and doctors are reporting results with all of these tables, In my opinion the rest is hype.